When you get a hankering for something crispy, junky and fried theres little else that can hit the spot. That was exactly my mind set just a couple hours ago, I wanted fried and I wanted it now. 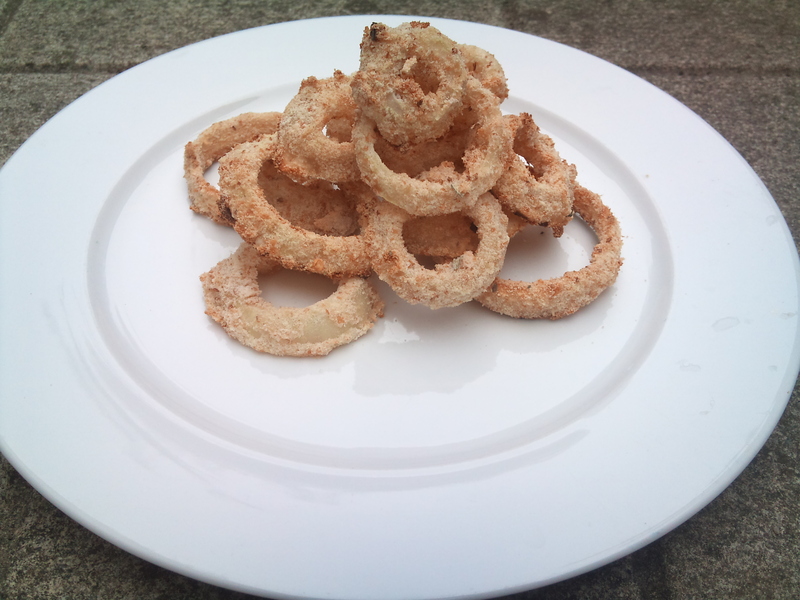 Onion rings seemed like the perfect idea, however I decided to make one substitution…bake it! These onion rings definitely hit the spot without the extra oil and saturated fat. That’s not to say that these are something you should be making daily… but when you have that craving why not make it a little bit healthier? For the batter I had a 3 separate bowl system. The first bowl had flour, the second a combination of buttermilk, flour and egg. While the third had a mixture of breadcrumbs, salt, pepper, dried oregano, chilli flakes and fresh rosemary. 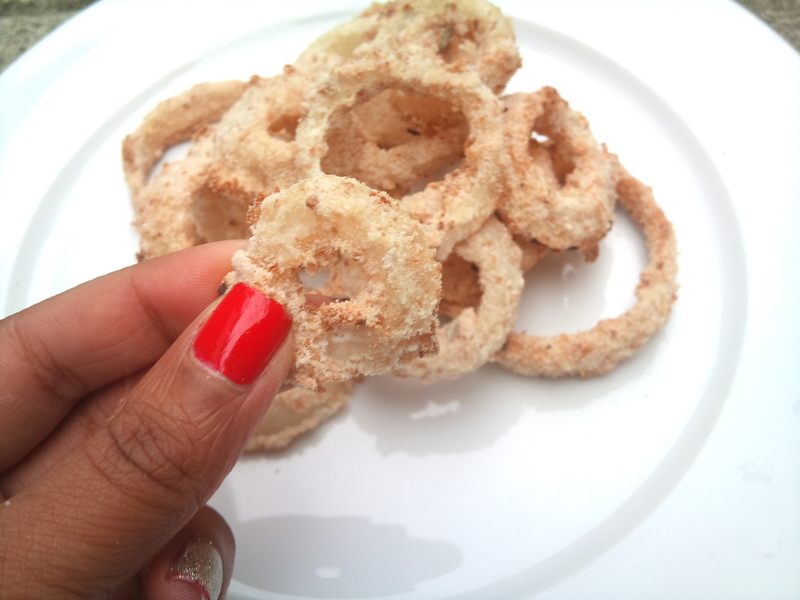 These onion rings are simple enough to make: dip onion rounds in flour, drench them in the buttermilk mixture followed by a generous coating of the breadcrumb composite. Bake at 425°F for approximately 15 minutes and you’re finished! While delicious on their own, these are equally good when dipped in Sriracha sauce. However if you’re feeling a little more adventurous I’m sure these would be fantastic with a chipotle mayo or cream-style dip. Yum! Let's keep in touch! Enter your email address below to follow this blog and receive notifications of new posts by email. Real life vs. internet life?